Among all the criteria of a stock such as NTA, cash flow, cash rich account, amount of debt etc, the most important and powerful catalyst that moves share price is profit growth prospect. For example, if you buy shares based on value, like property companies are selling below NTA, the share price will not go higher. If you buy based on its cash in fix deposit, the company will not simply give the cash to shareholders. My golden rule for share selection is that the company must report 2 consecutive profit growth and it must is selling below P/E 10. 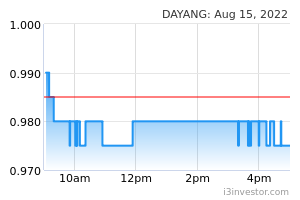 Dayang’s profit has improved by 100% from 5.05 to 10.13. In fact, when it was selling at 60 sen when Carimin was selling at higher prices, I started accumulating it. But, as soon as I saw the company’s announcement of this great profit improvement on 22 Feb 2019, I started to sell some Carimin, all my Focus Lumber, Pohaut Warrents to buy aggressively, as if I knew many rich funds will surely rush to buy the next day. That is why the share price is shooting up like a rocket as shown on the chart above. I have posted a few articles on my blog: koonyewyin.com and on i3investor to teach people how to make more money. My last piece, called Dayang’s flight defies gravity. Based on the huge volume and rapid price rise every day, many cash rich funds are buying aggressively because they believe my target price of Rm 3 is easily achievable. 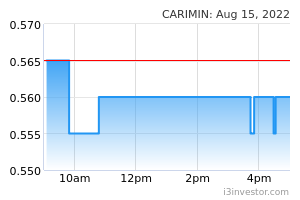 Carimin’s profit has reduced by about 55%. 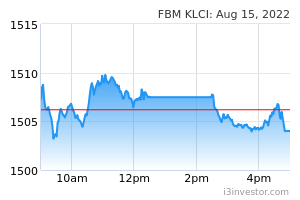 That is why the share price started to drop when the 2nd quarter reduced profit was announced as shown by the chart below. It does not mean that it is completely hopeless. Imagine if it reports an increase profit for the coming quarter, the price will go up again to catch up with Dayang and I may sell 1 Dayang to buy 2 Carimin shares. 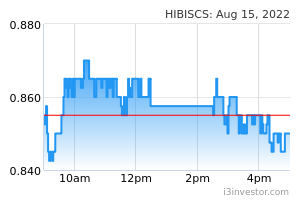 Hibiscus’s profit has reduced by about 50%. Although the company has a few rich oil fields and strongly recommended by experts, the share price has not gone up for a long time as shown by the chart below. I will not buy Hibiscus or Hibiscus Warrant because it does not comply with my golden rule for share selection. That is why the share price remains stagnant for a long time. All investors must follow my well proven golden rule for share selection to make money from the stock market. If you buy any stock based on any other criteria such as cash flow, cash in fix deposit, debt free, NTA etc, you will be disappointed. This article is the most important lesson for all investors.